The personalised penguin birth date print can be personalised with the name of your baby or babies, their weight and date of birth. 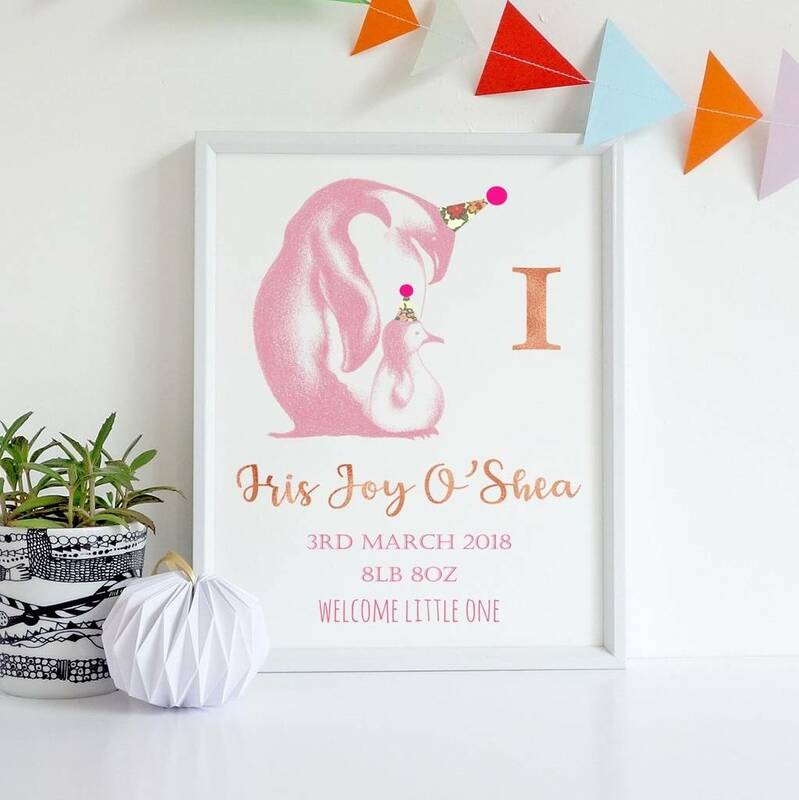 The personalised penguin birth date print makes a beautiful gift for a newborn, Christening, Naming day, 1st Birthday or Christmas. Capturing those special first details of a newborn to cherish forever. 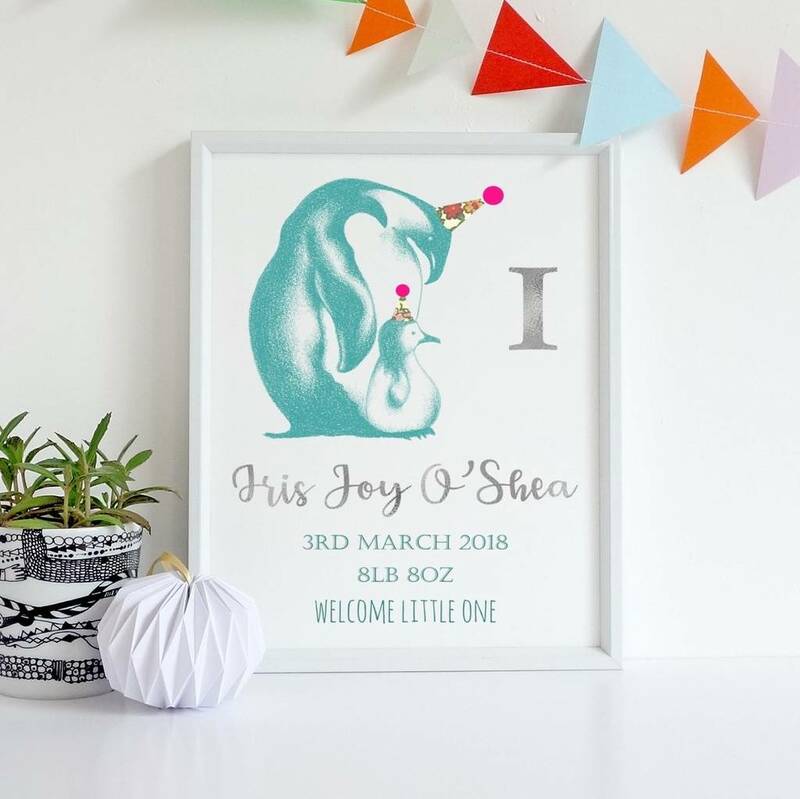 Displayed in a nursery, the penguin birth date print is a timeless keepsake. 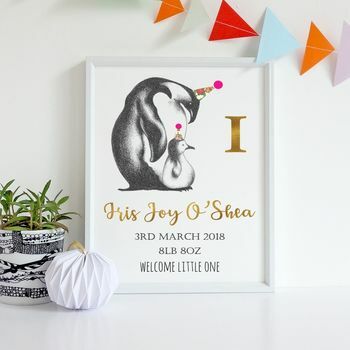 Celebrating the arrival of a new addition requires something special and unique, and with a hand drawn mumma and baby penguin and luxury metallic foiled personalisation, this print offers a more personal gift and something that will be treasured. Each drawing is then printed onto onto 350gms diamond white card stock where it is then personalised and foiled in our studio in a metallic colour selected from the drop down menu and finished by hand with party hats and pom poms. Now all you have to do is decide which party animal you like best......or why not get a matching print to compliment? personalisation - metallic foiled in our studio. 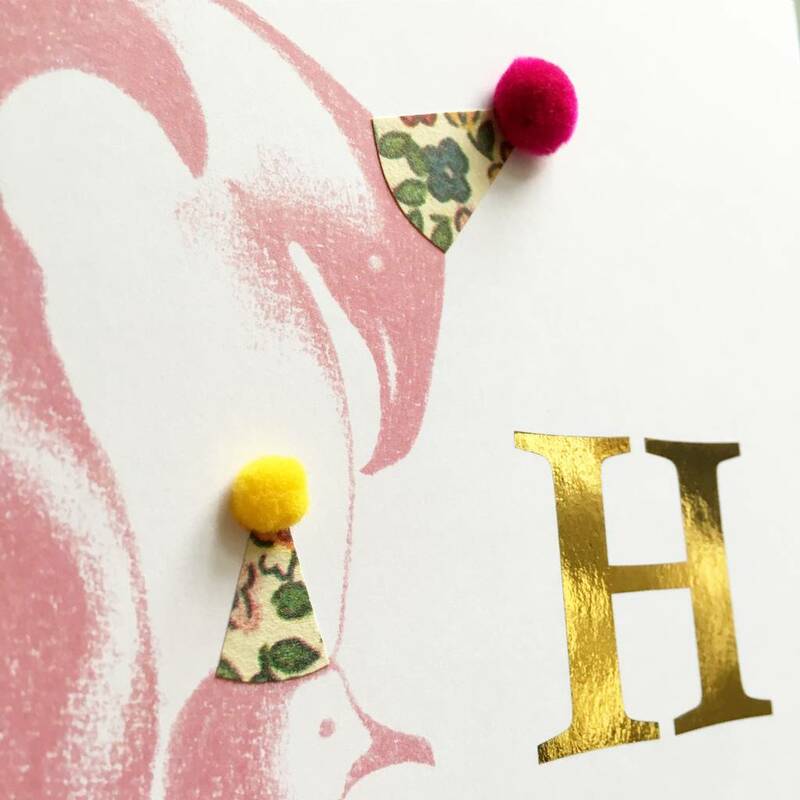 party hat - 100% patterned card and finished with a pom pom by hand in our studio. A4 print - 21cm x 29.7cm and will fit a standard size A4 frame. PLEASE NOTE ALL PRINTS ARE SENT UNFRAMED. THE FRAMES IN OUR PHOTOGRAPHY ARE FOR DISPLAY PURPOSES ONLY.